From many recent news sources, it seems as though Bush will not be back with the Dolphins next year. Between his injury history and the fact that he will turn 28 next season, it seems that the the front office are leaning towards going with Thomas and giving Miller a greater work load. However, for the right price, Bush is a guy that I would personally love to see back in a Dolphins uniform next year. Hard Knocks gave the fans an insight into the inner workings of the Dolphins organization. One of the insights that I gleamed from the show is this: Reggie Bush is one of the hardest working guys in that locker room, perhaps the hardest working guy. First in in the morning and last out in the evening, he is focused right now on being the best player he can be and he brings that tremendous work ethic into every play. The guy is a good influence in the locker room and a leader that would be missed, should he leave. He has enjoyed his best seasons of his career as a Dolphin racking up back-to-back 1,000-yard seasons. I know many were disappointed by the dropoff in his game last year following his injury against the Jets. But put it in perspective, he played injured and was still the most exspolsive playmaker on offense. With Bush injured, Philbin could have turned to Miller with an increased workload, but he didn’t. Why? Because Bush was still the better option; the guy is dynamic. Now, if Sherman can draw up a few more plays that get Bush involved in the passing attack, all the better – some screens, maybe get Bush and Miller to line up in split backs… We lose a whole dimension without Bush. Furthermore, he wants to be a Dolphin, he wants to play here. Hopefully this means that we get him for the right price. What is the right price? I’m thinking something like $11-12 million over 3 years for a weapon for Tannehill like Bush. It’s no secret that the fans are demanding that the Dolphins acquire a number 1 receiver for Tannehill to throw to this offseason; I dare say there would be blood if it didn’t happen. Ireland addresses the WR position this offseason no matter what. He has to. Hartline is not a true number 1 guy, not to devalue anything that he did this last season. I mean, he really stepped his game up and became Tannehill’s favorite target, and even set a franchise record for most receiving yards in a single game. Bess continues to be a great slot receiver, one of the best, in a season in which we fielded the most questionable receiving corps in the league, we did at least have two guys that Tannehill could rely on to make the catch. That being the case, Hartline does not command the salary of a top number 1 receiver type. This offseason, either via free agency with the likes of Jennings, Wallace or Bowe, or through the draft, Philbin and Ireland are going to find that guy and Hartline will have to make do with second tier WR money. I think that Hartline is smart enough to realize that is what will be on offer and hopefully we can retain his services in that capacity. If he does expect to get paid like a top wide out I say let him go and test free agency, we would not even be discussing free agents like Jennings, Wallace or Bowe if Hartline was that good. We’d instead be talking about finding a quality WR in the draft to compliment his talents. Undoubtedly following his best season yet he will want a bump in pay, $15-16 million of 4 years. That would be a favorably increase from the $1.3 million he made this year. What a conundrum we have here with Long. The 1st overall selection of the 2008 draft; a guy that was meant to be an elite tackle and solidify our o-line for a decade. And initially, it looked as though he would be all that. The same year the Dolphins went 11-5 and won the division, one of the biggest turnarounds in league history and in no small part to the elite play of Long. His immediate impact on the team was evident and he subsequently got voted to the pro bowl, and then again, and again, and again. Four consecutive pro bowls, sadly his level of play did decline and his ability to stay healthy for an entire season also became an issue. Not only did Jake Long not make the pro bowl this year (nor did he finish the season yet again), but he also put in his worst effort since entering the league, giving up 5 sacks and being the most penalized lineman on the team. All this in a big contract year. So you can understand Ireland’s dilemma here, and I know some of you are so pro-Long that the idea of letting him go has caused some of you to become a little hostile, but it is reasonable to balk at the asking price that Long has put on the table, I know I did – he wants at least $10 million a year. I want Long back, I do; losing him would create a need to be filled this offseason that I would rather not have to worry about. But at $10 million a year, I think that Long’s days might just be done. If Long had been playing at an elite level and had not been injured then we could entertain this idea, but as things stand, this is actually a ludicrous suggestion. To make it happen I would offer something in the region of $6-7 million a year with some incentives built in. I keep reading how at 28, this is Long’s last chance to get a big money contract, but remember that he joined the league before the rookie salary cap was implemented. His first contract was a big money contract at 5 years at $57.5. This may well be part of the problem, his initial contract was so large that his ego will not allow him to entertain the idea of his second being worth anything less. If some kind of compromise can’t be reached, then as much as it pains me to say it, I think we have to let him go. This would leave us to either try Martin at LT as he finished the season or to look at finding a replacement through FA or the draft. Either way, if Long leaves it creates a need to have to fill either one of the tackle positions on our roster. Neither of the guys have produced all that much for the Dolphins, though lack of depth at the safety position saw Clemons put in statistically his best season. You wouldn’t really miss either of them if let go. At 27 Clemons could still produce, but I am not holding my breath. Point is, letting both of these guys go leaves us without any depth, unless there is a youngster waiting in the wings on the practice squad who is ready to break out. Safety is going to be a position of need, the question is just how bad are we going to need it. We retain one of these guys (preferably Clemons), and we have a bandaid and can look for a possible upgrade later in the draft. We let them both go, and maybe we consider addressing this issue earlier. Either way, our secondary was poor at best last season, Reshad Jones was the only guy really to shine, with Sean Smith being horribly inconsistent. The Dolphins will address the safety postion one way or another, regardless of resigning either of these guys. A lot of mock drafts have the Dolphins snapping up Zach Ertz or Tyler Eifert in the second round of the draft. This seems like a solid decision to me. But it’s a good idea to have two solid TE on the roster, and right now, Fasano and Clay make up the Dolphins’ duo. Can the Dolphins gamble on Ertz or Eifert being available when they make their second pick? Should the Dolphins spend a second round pick on a TE at all? Clay and Fasano are decent TE’s. And occasionally great. But neither of them give Tannehill the same threat as a Jimmy Graham or a Rob Gronkowski. These types of TE’s are fast becoming the staples of high powered offenses. I still like Fasano; heck, he pulled in one of the better catches of last season. The other factor is Egnew. Or rather, non-factor. I guess the hope was that by the time Fasano’s contract was up, Egnew would be ready to step up and be that guy. I know Ireland said that they were excited about Egnew and his role in 2013, but I just don’t believe it. He didn’t play at all this season and he was a 3rd round pick, need I say more? Hard Knocks is a show that is edited to be entertaining more than anything else, I get that, but ultimately the footage we got, along with the lack of playing time this year, paints the picture of a guy in over his head and unable to make the transition from college to the NFL. 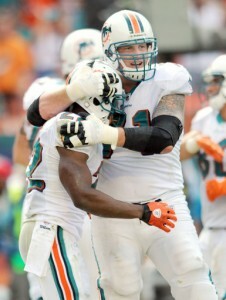 I dont believe that we see Egnew ever playing for the Dolphins; he’s a bust. This gives Fasano some leverage, as I think that he is the best TE on the team. That is, unless Ertz or Eifert fall to us in the second round. But before that happens, Fasano’s fate will have been sealed. This will be an interesting decision. Matt Moore is a class act and one of my favorite players. He was also the Dolphins MVP in 2011. He was great taking over from Henne last season with no offseason due to the lockout and no first team reps he came in and manged to restore some pride into an otherwise disastrous season. Then he was great at accepting Tannehill as the starter, he went back to holding a clipboard and did it like a pro. When asked to come in and fill in for an injured Tannehill he did so with flying colors, sure it wasn’t flashy, but it was what was needed, and on the road against the Jets in front of the Dolfans NYC, no less. This moment was the highlight of Dolfans NYC as Michelle and Igor put together without question the best tailgating event ever, and Moore delivered us a win! Moore will go, I don’t doubt that. He wants to start somewhere, and he deserves to start somewhere. The front office have already thanked him for his service and assured him of a “guaranteed job” in Miami. I wish him the best of luck just as long as he doesn’t go to the Jets, God knows that they could use him, and honestly, it would surprise me. Pat Devlin is a restricted free agent, given how much Philbin was gushing over him on Hard Knocks, I don’t anticipate losing him. Does Philbin trust him enough to be second string? We didn’t see much of Stanford, and Sean Smith was occasionally great and occasionally awful, but much of the time, he was somewhere in between. Smith definitely has the chops to be a very good CB, as is evident when he plays well, but his inconsistency is a concern. He has allowed big, game-altering plays to pass him by. With the trade of Vontae Davis earlier in the season, I expected Ireland to have an ace up his sleeve, and I was expecting Richard Marshall to come out and be a baller, but it didn’t happen. What did happen, though, was the Dolphins’ secondary got blown up frequently. Regardless of what happens concerning the contract of these two men, Ireland will be looking to upgrade the position. I see a deal being worked out with Smith. Again, it’s got to be for the right price. I’m actually glad of a guy like Ireland in scenarios like this, some will call him miserly, I am sure, but he is not the type of guy to over pay. Resign Starks, he is a versatile tackle who can also play DE. He is also pretty good at getting into the back field and disrupting plays there. If Starks goes, the Dolphins could move Odrick to DT and try Vernon out at DE. But I would rather see Starks’ services retained. Starks abilty to get tackles behind the line and pressure on the QB are second only to Wake on the team. Should none of these guys resign, then the Dolphins will lose depth along the O-line that will need to be addressed in free agency and the draft. Nate Garner ended the season starting and can play everyÂ position on the O-Line. Hopefully we can get him signed at a bargain. By March 12th, the fates of all the free agents to be will be decided by their respective teams, and then we can start to formulate a clearer picture of free agent acquisitions and draft targets. One thing for sure is that with lots of room in the salary cap and a dire need for Jeff Ireland to produce a winning side now, this will be an interesting offseason for the Dolphins, to say the least. 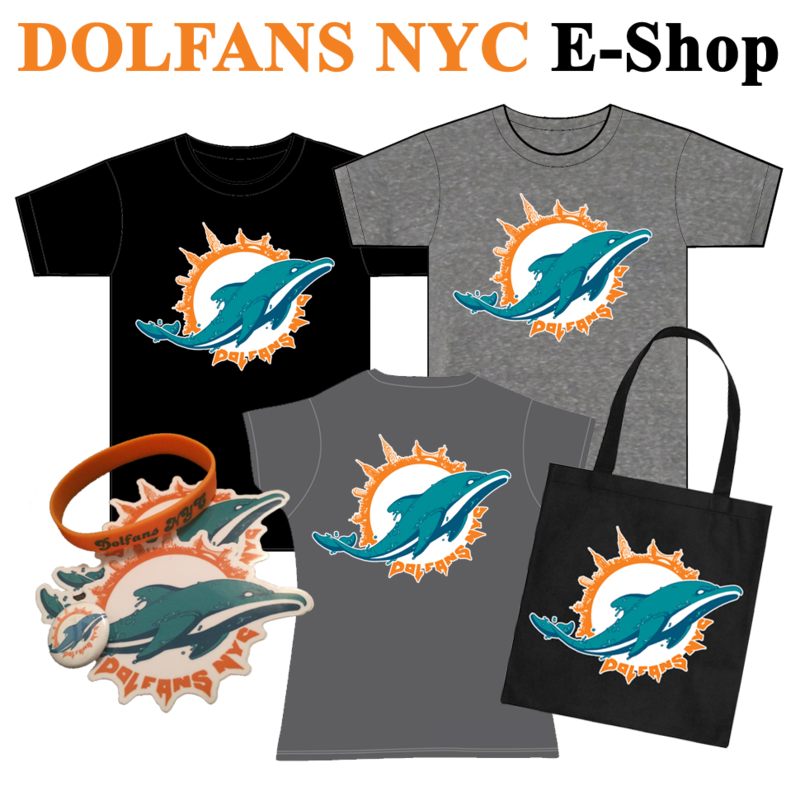 This entry was posted on Saturday, February 2nd, 2013 at 10:49 pm	and is filed under Dolphins News. You can follow any responses to this entry through the RSS 2.0 feed. Both comments and pings are currently closed. I like that PFF doesn’t just compile raw yardage stats. By taking the result of the play into account they also account for the situation and coverage scheme. Like the article says, giving up 9 yards on 3rd and 10 gets you off the field and that’s the coverage that will be called. I don’t see the question so much as “to sign or not re-sign”, but at what price should the ‘Phins decide to sign a player or let him walk. For example, I wouldn’t mind them re-signing Long, but only if he comes considerably lower priced than what he is asking (maybe after taking a Paul Solai-type tour around the NFL and finding his services aren’t as highly sought after as he thought). If nothing else, the ‘Phins could use the money to get a back-up that could relieve him from time to time and thus hopefully keep him fresher or replace him in the line-up if (and more likely when) he goes on IR at the end of the year.